⚠ California Proposition 65 WARNING: This product can expose you to chemicals known to the State of California to cause cancer and birth defects or other reproductive harm. For more info go to www.P65Warnings.ca.gov. 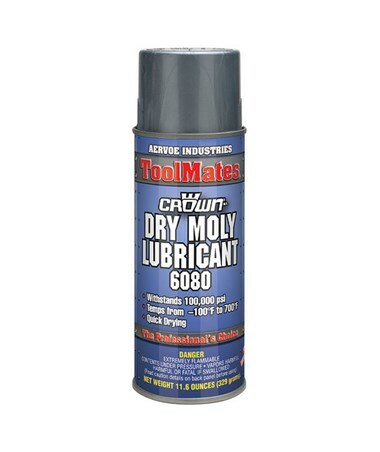 Ideal for assembly and break-in applications, the Aervoe ToolMates Dry Moly Lubricant (12-Pack) is designed to provide extreme pressure lubrication that can withstand stress up to 100,000 pound-force per square inch. It effectively performs at temperature ranging from 100 degrees Fahrenheit up to 700 degrees Fahrenheit (-73 degrees Celsius and 371 degrees Celsius). This molybdenum disulfide-based lubricant by Aervoe produces a dry, thin, black film that prevents corrosion and seizing on moving parts. It bonds to any metal surface and reduces friction ensuring efficient and long-lasting equipment. Containing no oils or moisture-based dilutants, it is quick-drying and dries in less than three minutes which eliminates attracting of dust or dirt. 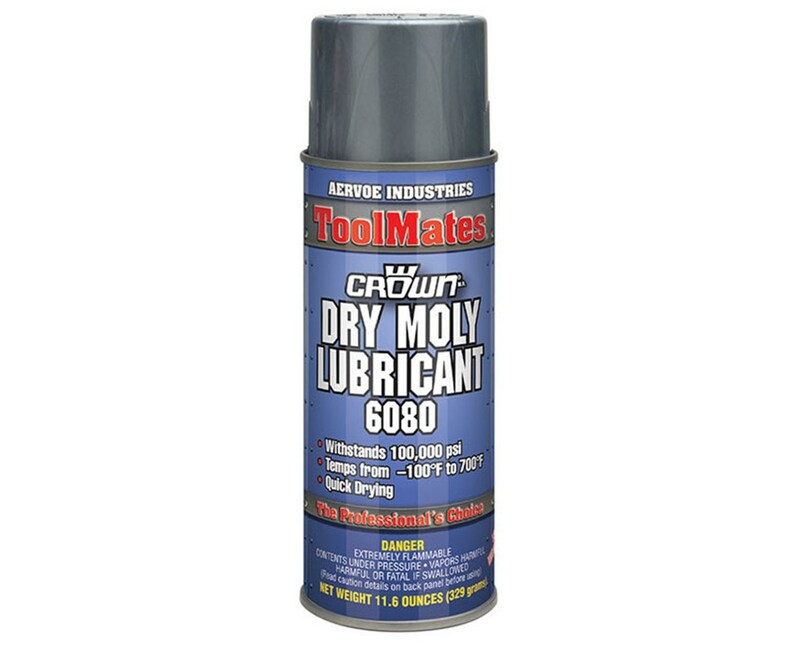 The Aervoe ToolMates Dry Moly Lubricant (12-Pack) is excellent for grinding mills, crushers, mechanical presses, slides, and other machinery. It is important to note, however, that it should not be applied while the equipment is operating. Sold by case, it includes 12 cans of 11.6-ounce non-foaming liquid and a one-year manufacturer’s warranty. Miscellaneous Do not use on electrical equipment or machinery while in operation. Warnings PROP 65 (CA): WARNING: Cancer and Reproductive Harm – www.P65Warnings.ca.gov. Lubricity > 200 ft. lb.